Item Number: H20-E1848CL Have a question about this item? Testing for colorfastness is recommended. Colors can include blue-green, white, green and more. 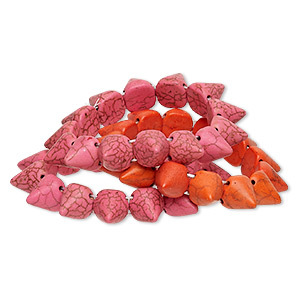 Shapes can include round, puffed teardrop, puffed rectangle and more. 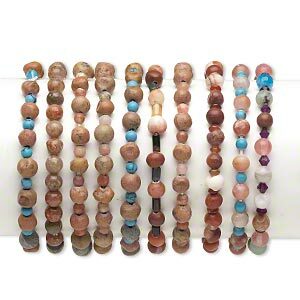 Bracelet mix, stretch, multi-gemstone (natural / dyed / stabilized / irradiated), mixed colors, 6mm-30x22mm mixed shape, 6-1/2 inches. Sold per pkg of 5. 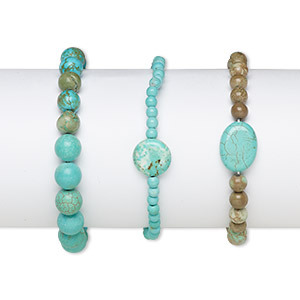 Bracelet mix, stretch, "turquoise" (imitation) resin, mixed colors, 14mm spike, 7 inches. Sold per pkg of 3. 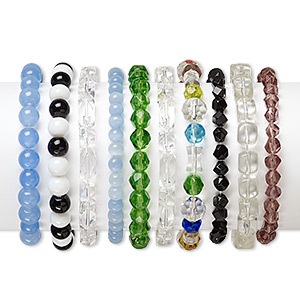 Bracelet mix, stretch, glass and cat's eye glass, mixed colors, 4mm-14x10mm mixed shape, 5 inches. Sold per pkg of 10. 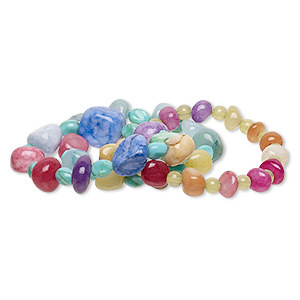 Bracelet mix, stretch, multi-gemstone (natural / dyed) and glass, multicolored, 3-12mm mixed shape, 6 to 8-1/2 inches. Sold per pkg of 5. 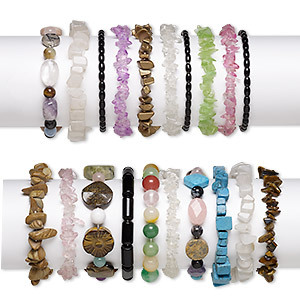 Bracelet mix, stretch, quartz / agate (dyed / heated) / acrylic, multicolored, 6x5mm-17x16mm round / small to extra-large pebble / mini to medium nugget, 6-1/2 inches. Sold per pkg of 3. 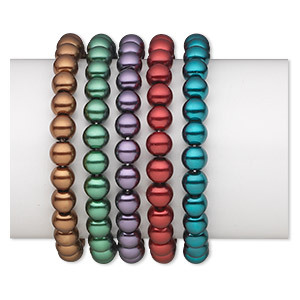 Bracelet, stretch, glass pearl, assorted colors, 8mm round, 6-1/2 inches. Sold per pkg of 5. 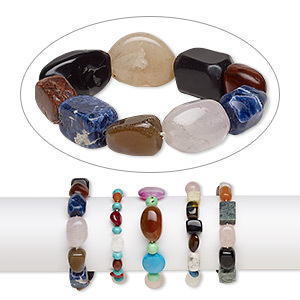 Bracelet mix, stretch, multi-gemstone (natural / man-made), 9-13mm wide with 4-20mm mixed shape, 6-1/2 to 7 inches. Sold per pkg of 5. 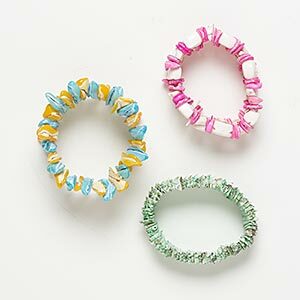 Bracelet mix, stretch, multi-gemstone (natural / dyed / imitation / assembled) and glass, multicolored, 6x1mm-35x25mm mixed shape, 6-7 inches. Sold per pkg of 50.